Have you always thought to yourself that you could manage the New York Yankees better than Joe Giradi? Here is your chance to prove it. 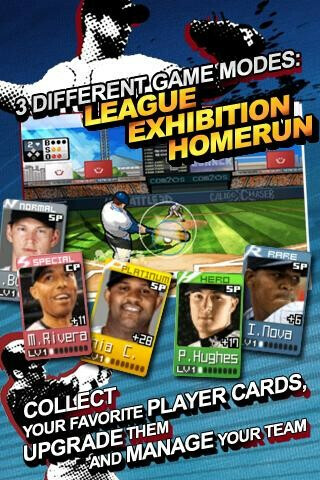 Android game creators Com2uS have created 9 innings: ProBaseball 2011. Unlike all of the other baseball games available for your phone, this is the first one to be licensed by the MLBPA which means that for the first time, your favorite players will perform on your handset as they do on the diamond. 750 MLB players are available, using the latest available stats to make sure that players are capable of playing just as they do in real life. The game has three different modes. Season Mode allows you to take your favorite team and manage it over 9 seasons with the goal to make the playoffs-just as in real life. Exhibition Mode allows you to pick two teams to play one game and Home Run Mode goes through your lineup player by player in a modified Home Run derby. You get a certain point total as a goal and you keep going through your lineup until that goal is reached. 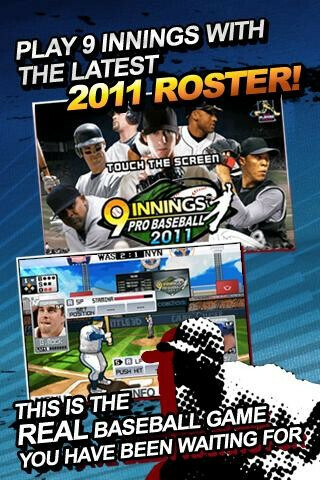 9 innings: Pro Baseball 2011 is ad supported which means that it is available for free from the Android Market for phones batting with Android 2.1 or higher. If you are a big baseball fan, you are going to want to install this game right away. Play Ball! Really? No code to scan? Ok, I'm grateful for the heads-up, but a link or a code would have been helpful. Thank you for making me aware of the app, which I will now go search for on the Android Market. They make money by making you buy in app items... Not to mention TONS of ADVERTISEMENTS!!! Good game. Lags some but works well on new LG G2X. Just wish it wasn't the New York A when it should be the YANKEES! How do you add players to you order?